Product prices and availability are accurate as of 2019-04-20 09:06:22 UTC and are subject to change. Any price and availability information displayed on http://www.amazon.com/ at the time of purchase will apply to the purchase of this product. Compact fluorescent light bulbs use up to 75% less energy and last up to 10 times longer than standard light bulbs. The total cost of ownership of a compact fluorescent light bulb is typically substantially less than a standard light bulb that produces the same amount of light. 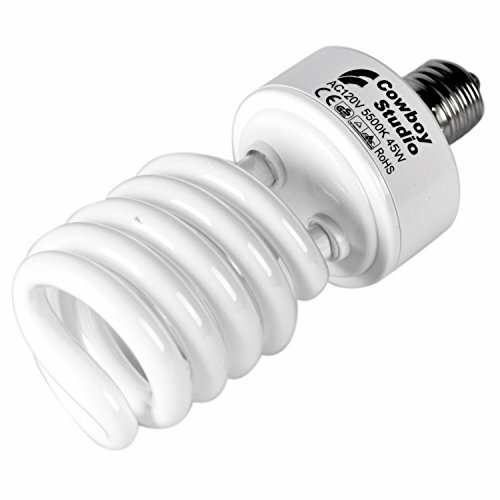 Primary applications for compact fluorescent light bulbs include retail, hospitals, warehouses, workshops, churches, arena, schools, television, photography, and garages.